I suffer from phantom smartwatch syndrome -- an ailment that hopefully will disappear over time. Nearly four weeks ago, I put aside Apple Watch 2 stainless steel and replaced it with the simple but appealing ManchesterWatchWorks Iconik 3. Problem: Almost any shifting movement of the timepiece causes me to reflexively flip my wrist and look down; there is false perception of haptic sensation. Apple has trained me well, and I'm tired of being its dog doing tricks. Woof. Woof. Growl. I feel free! Gone are the nagging alerts -- and I had them barreled down to a minimum of approved services: Some for breaking news; emails from a half-dozen people; and text messages. Among this still seeming torrent, the Activity app annoyed with congratulatory badges and prompts that one of the four main exercise goals (Calories, Exercise Time, Stands, and Steps) -- Apple's athletic lifestyle version of the four food groups -- would soon be achieved. The badges are about as infantile as gold stars that teachers give kindergarteners and with similar purpose: To make the recipient feel good, whether or not deserved. The achievement badge for Earth Day flipped my goat. Seriously? I ordered the Iconik 3 that evening. My Apple Watch turnabout progressed slowly over many months. I have worn both versions of the timepiece and found many of the features -- from phone calls to exercise assistance -- to be beneficial. But in early 2017, I reached a daily activity plateau: 2 miles distance stepped; 12 Stands (how stupid a concept is that); 30 minutes exercise; 440 active calories burned. I consistently exceeded them all every day, often bountifully, but found myself -- me to blame, not Apple -- waiting until Midnight before taking another spin on the indoor bicycle or doing before-bed pushups so the efforts would count for the new day. I also kept modest goals, even when beating them, to maintain an unbroken achievement record. Shameful behavior, I know. The smartwatch may have helped Apple CEO Tim Cook lose 30 pounds, but I already had knocked back 50, by changing diet and becoming more active, before strapping the fruit-logo thingy to my wrist. That said, Apple Watch did help me better understand distances walked around the neighborhood and the amount of activity that burns through enough calories suitable for my daily eating habits. I weighed 13 Stone in July 2013, when shifting my diet to meat and veggies from carbs (can you say pasta). Today: 9 Stone, or about 56 kilos. I lost another 10 pounds, during the year I used the Activity app. 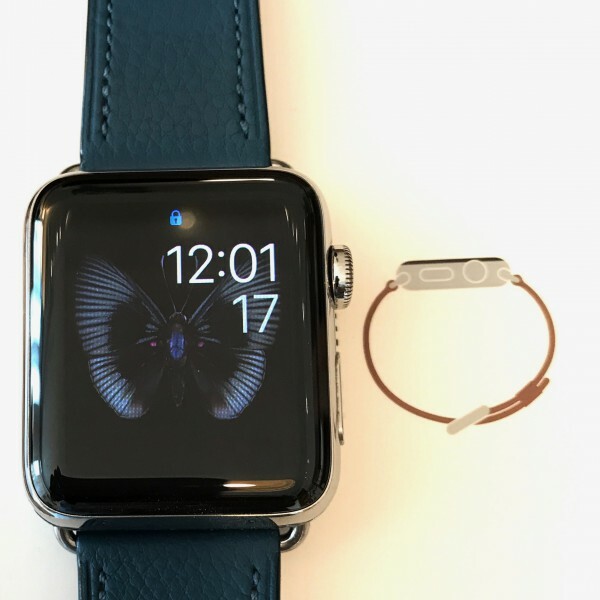 But with new healthy habits, my weight is constant, and even a little less, without Apple Watch -- not that weight loss was ever my primary goal, just an unexpected benefit from changes starting four summers ago. Strange thing, the extent of Apple Watch behavioral conditioning surprises me. Starting sometime during the first day after re-boxing the device, I felt a vague sense of loneliness and even mild depression -- presumably in absence of the annoying, but ego-lifting, exercise prods and goals-achieved badges. The thing was my constant companion, except when recharging or when I showered. Perhaps we miss the obnoxious, noisy friends most for the silence their departing leaves behind; even in the joy of parting. For sure, I don't miss charging the smartwatch every 40 hours or so. Sweet Jesus -- er, sweet Jobs -- how do the narcissistic social networkers manage when so many persistent alerts drain Apple Watch's charge faster? Or, gasp, maybe they use apps. I tell you true, Google did every Apple Watch owner kindness by removing the juice-sucking Maps app. Apple Maps is no better; worse, if you get lost using it, and the battery drains dead. But the big behavioral problem, persistent nearly a month later, still troubles me. Several people within my circle of relationships have had limbs amputated. They describe well-documented phantom sensations, like an itch that can't be scratched because there's no leg. I don't for a second mean to equate my smartwatch psychosis to their trauma. That said, I still reflexively look to my wrist at the slightest twitch that oh-so feels like a haptic tickle. But ain't. On May 17th, I posted the Apple Watch for sale on Craigslist. There is no interest yet, although an Android Wear-loving friend offered to take the smartwatch, if I pay him for it rather than the other way around. Now there's true friendship for you, eh?